The announcement was made by Commissioner for Humanitarian Aid and Crisis Management Christos Stylianides, on the occasion of his sixth visit to Iraq today. "Each time I visit Iraq, I see the hope of its people despite the challenging circumstances. At this critical moment for the country, our new funding reaffirms the EU's commitment to stand in solidarity with all Iraqis and will help the most vulnerable." Whilst in Iraq, Commissioner Stylianides, alongside Belgian Deputy Prime Minister Alexander De Croo, visited Mosul, where schools and hospitals are being supported by EU funding to help the most vulnerable get access to essential services. In Erbil, the Commissioner visited camps hosting thousands displaced by conflict. In Baghdad, the Commissioner held meetings with the Iraqi authorities. The new EU humanitarian assistance worth €30 million will include protection, emergency healthcare, basic shelter, food, safe water, sanitation and hygiene to those in the greatest need throughout the country. These include Iraqis who remain displaced and Syrian refugees in Iraq. It will provide mental health support, increasing services for survivors of sexual violence, and ensuring physical therapy and rehabilitation to war-wounded. Furthermore, the EU will support the resumption of basic public services including health, education, and water supply in war-affected areas, such as Mosul, western Anbar and Hawija. The €20 million development cooperation will provide tailored technical and vocation training opportunities for youth in the construction sector, to help to recover the historic urban landscape of Mosul and Basrah. In addition, it will provide small grants to Small and Medium Enterprises and associations, with a focus on the revival of socio-economic and cultural activities. This funding, to be signed on 21 February, is part of the flagship initiative ‘Revive the Spirit of Mosul' run by UNESCO, and designed to foster social cohesion and promote peace. With the full support of the Government of Iraq, the initiative will focus the restoration and rehabilitation of cultural heritage, as well as the revival of educational and cultural institutions. 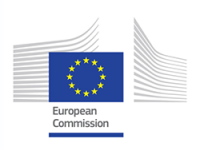 This measure is part of the EU's pledge at the Iraq Reconstruction Conference held in Kuwait in February 2018. Today's funding announcement brings total EU humanitarian assistance to Iraq to €420 million and development cooperation to €309 million since the beginning of the crisis in 2015. The EU has led the international humanitarian, reconstruction and development efforts for the Iraq crisis, responding to the humanitarian emergency and supporting the stability and development of the country. In addition to direct humanitarian funding, the European Commission supports the coordination and transport of emergency supplies, such as tents, blankets, hygiene kits, medical equipment and other material offered by Participating States to the EU Civil Protection Mechanism. 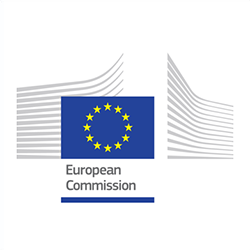 EU support to Iraq is in line with the 2018 EU Strategy for Iraq and the Council Conclusions of 19 May 2017 on Iraq as a pilot country for implementing the Humanitarian-Development Nexus.